I watched some children for several weeks, how can I collect payment? - Answer from the MyAttorneyHome FAQ desk. 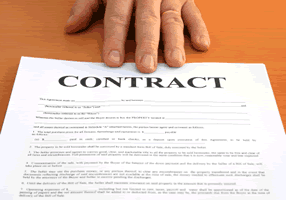 Home › Questions › Contract Law › How do I get payment for watching children for several weeks? Unfortunately, it’s not unusual to make verbal or written agreements with friends, and often, for whatever reasons, they refuse to honor their commitments. If everyone was reasonable the best course of action would be to simply sit down over a cup of coffee, discuss the issues, and come to a common agreement about the best solution. Not everyone, however, is reasonable, and some people will always refuse to follow through with their financial obligations unless you press the issue and file a lawsuit against them in court. The good news is there is a simple remedy for individuals who are attempting to get payment for products or services rendered: small claims court. Small claims court only awards money. The court cannot, for example, order your neighbor to watch your child or a mechanic to repair your car. They also do not get involved in domestic disputes and do not have the power to ask someone to stop harassing you. But if money is what you want and need, and the dispute involves a small amount of money (which varies by state but is generally $10,000 or less), then small claims court may be just the answer. Common cases heard in small claims court include a landlord’s refusal to return a security deposit, a friend’s refusal to repay a loan, or a seller’s refusal to honor a product warranty. Although filing a case in small claims court is easier than other legal claims, you will have to follow specific steps, and the steps for filing a claim in small claims court will vary by state. Below are the general steps for filing a case in a Texas small claims court. Serve notice to the defendant. Prior to filing your claim in small claims court, you can send notice to your friend that you are going to file a case. Many times just giving the notice, outlining the payment expected, and the date you expect payment will let them know you are serious about collecting the debt. Many times they will simply pay the debt to avoid going to court. Identify the appropriate court to file your claim and file the petition. There are several different precincts in Texas. You will need to file your petition at the appropriate courthouse, which is generally where the issue at question occurred or where the defendant resides. Information which should be listed on the petition include your name, address, and contact number, the defendant’s legal name, the amount you are suing for, the cause of action which caused the debt or damage, and your signature. You will also need to attach evidence for the case. Consider, as the plaintiff in the case, it is your duty to prove to the court that the defendant owes you the money. Evidence attached to the petition can include invoices, receipts, or documents to support your case. Petition is served to the defendant. After the petition is completed and filed it will be served to defendant. The petition will outline when the defendant must appear in court. The defendant must answer the petition. They can either accept liability or deny the civil action. If the defendant fails to answer within the specified time, the judge generally will find in your favor. The court will set a date for your hearing. In some cases, if you need witnesses to appear in court, you may have to request a subpoena be issued so they will come to court to testify. At the hearing you will be expected to present sufficient evidence to prove your case through a preponderance of evidence. You do not need an attorney to attend your hearing, but you will need to review the legal standard for proving your case. The judge will hear all of the evidence from both you and the defendant and issue a decision. Assuming the court issues a judgment in your favor, this does not mean that they will collect the money for you. In fact, in order for the judgment to be enforced you will have to take specific actions, which may entail requesting that the court issue various instruments to assist you in collecting the judgment. Actions which you can request may include an Abstract of Judgment, Writ of Execution, Writ of Garnishment, and Turnover Order. There are legal steps you can take to collect debts. Unfortunately, the process can be a bit tedious and complicated. In many cases, individuals who are owed a small sum of money will simply decide the cost vs. benefit of trying to collect through small claims court is too difficult. How do I get my security deposit back for my rental?